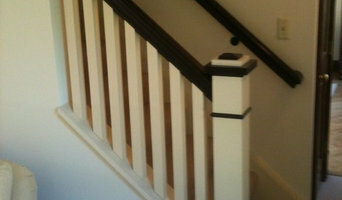 Kitchen and Bathroom remodeling, short run manufacturing, handicap access, trim carpentry. Non-advertising...all work is by referal only. 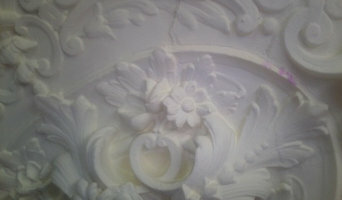 JPC Plaster in business since 1986, specializes in the restoration and repair of historic plaster. Our business is centered on providing the very finest air duct cleaning services available in Southeast Michigan. Our technicians are fully trained and have years of experience. We use top of the line equipment and cleaning tools to thoroughly scrub clean all the interior surfaces of your duct system, including main trunk lines to and from the furnace. 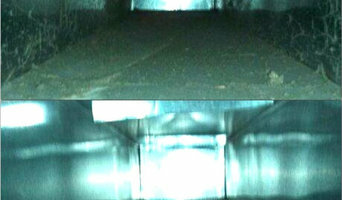 Air Duct Clean has been specializing in residential air duct cleaning for many years. We are a company focused on safeguarding your home against pollutants that are often overlooked and we do so by air duct cleaning, vent disinfecting, dryer vent cleaning, and more. Mid-Michigan's Preferred Technology Provider of Custom Home and Business Automation Systems. At Watermark Restoration Solutions, Inc - we specialize in all things property damage whether to your business or your home. Our team consists of licensed builders, property and casualty adjusters and an IICRC Master Restorer. Operating locally out of South Lyon, Michigan, we pride ourselves on never employing high pressured sales tactics and offer a free, no obligation site consultation within our service area. Loyal Leaf Cleaning LLC is a commercial cleaning contractor / janitorial service serving the Adrian, MI area. Services include Office Cleaning, Janitorial Services, Commercial Cleaning, Residential Cleaning, House Cleaning, Move In Move Out, Carpet Cleaning and Window Cleaning. Building the Dream James Woods is a comprehensive Handyman that will meet your needs at every level. From the precision property evaluation, he starts and completes every project with absolute satisfaction completely meeting all his clients needs. His approach is simple honesty and integrity shown in his high level of workmanship. JTM Cleaning & General Contracting, LLC is a commercial cleaning contractor / janitorial service serving the Whitmore Lake, MI area. Services include Commercial Cleaning, Janitorial Services, Office Cleaning, Green Cleaning, Floor Cleaning, Floor Stripping, Carpet Cleaning, Tile and Grout Cleaning, Retail Cleaning, Porter Services, Commercial Window Cleaning and Pressure Washing. Serving towns of Flint, Ann Arbor, Livonia, Ypsilanti, Farmington, Westland, Southfield, Canton, Waterford, West Bloomfield, Taylor, Dearborn Heights, Redford, Bloomfield Hills, Howell, Brighton, Novi, Clarkston, Plymouth, Belleville, Northville, Fenton, Inkster, Romulus, Garden City, White Lake, South Lyon, Pinckney, Walled Lake, Holly, Wayne, Commerce Township, Saline, Milford, Highland, Wixom, Franklin, Tecumseh, Whitmore Lake, Milan, Linden, Chelsea, Fowlerville, Dexter, Carleton, New Boston, Grass Lake, Davisburg, Manchester, Dundee, Hartland, New Hudson, Stockbridge, Clinton, Gregory, Keego Harbor, Webberville, Byron, Gaines, Britton, Munith, Willis, Maybee, Dansville, Tipton, Deerfield, Whittaker, Hamburg, Lakeland, Norvell, Azalia, Beverly Hills, Bingham Farms, Bloomfield, Bloomfield Township, Bloomfield Village, Bridgewater, Cohoctah, Drayton Plains, Farmington Hills, Independence, Northville Township, Oak Grove, Orchard Lake, Ridgeway, Salem, Springfield Township, Superior Township, Sylvan Lake, Union Lake, Waterford Township and Wolverine Lake. Independent Home Products, LLC is a walk-in bathtub installer / handicap accessible bathroom remodeler serving the Holt, MI area since 2007. Services include Walk In Tubs, Walk In Bathtub Installation, Walk in Showers, Bathroom Safety, Hydrotherapy Walk In Tub and Walk In Tub Prices. Serving all of MI. 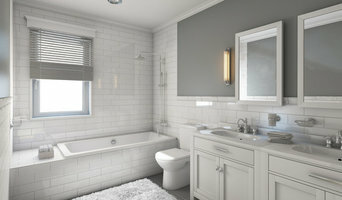 Professional Interior and Exterior Painting Contractor in the Ann Arbor/Detroit area. Get your weekend back. We perform work on residential and commercial projects. The president and founder of All Quality Painting has over 25 years experience in the painting industry and 20 years business ownership. All Quality Painting, Inc. was founded in 1994 We provide free, no hassle, no pressure, estimates within our entire service area. Give us 30 minutes of your time and we'll give you a guaranteed price for your next project. G&G Glass has been gladly serving the Hillsdale, Michigan area since 1971. We are committed to providing you quality workmanship and customer service through our wide range of services. Whether you are in need of residential glass, commercial glass or auto glass, we can provide you the glass service that you are looking for. Call us today for an estimate on your requested services. D. J. & Associates, Inc. 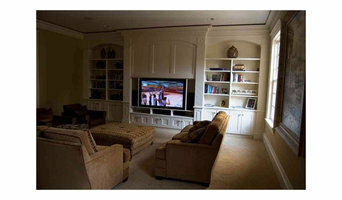 Residential and Commercial restoration company that has been serving Southeastern Michigan for over 50 years. We are an ethical, honest and professional company. We are easy to communicate with. Always working with you until the job is done right and to your specifications. When working with our company you can expect integrity, prompt service and superior customer service. Always leaving the job site clean . We take pride in our services and enjoy making clients repeat clients. You can count on us to get the job done right the first time. We will meet with you at your convenience and will not keep you waiting. Call us today for your free estimate. You'll be pleased you did. As they juggle your demands and the work of home builders, the Grass Lake, MI building project manager often benefits from a construction industry background. This may also assist you when you need to hire additional contractors. Look in the Professionals section of our website under Grass Lake, MI specialty contractors, then select the nearest metro area for a contractor. You can also look through Michigan photos of completed projects to see how a contractor might approach design challenges.